There are a number of ways you can modify your vehicle to make it perform better or more efficiently. Customising your car can improve not only the performance but also the look. Vehicle owners have so many different modifications that they can make so here we are going to discuss the different ways you can improve your car. There are so many options you can now choose from when considering customisation. They include altering the performance of your vehicle or changing exteriors and interiors to meet your design needs. The following list provides you with enough information to decide whether you want to carry out any customisation to your beloved vehicle. There are so many different ways you can change the exterior of your car; a recent trend is to have your vehicle wrapped. This is done by sticking a layer of plastic vinyl coating over the top of your cars current paintwork. There is a vast range of colours and effects that can instantly transform the appearance of your vehicle; this is also a great way of making your car look unique. You will also find that having your car wrapped is much cheaper than considering a respray of the paintwork. It is also an excellent prevention method for scratches and stone chips. When it does become worn, you can simply change it or replace it. One thing we would recommend is that if are considering a vinyl wrap to look around for the most professional person who can do the best job. Don’t be pulled in by cheap prices, it will often be poorly done and you will end up going somewhere you should have gone in the first place. A good quality car wrapper will charge around £2000, so please don’t bother with anyone offering lower than £1,000. We always recommend that you visit a garage that provides ECU Remapping rather than trying to do it yourself. Due to them being highly trained in this field they can ensure they get the best out of your vehicle. ECU Remapping tweaks the engine so that it will perform at its peak rather than at manufacture factory settings. The main performance changes you will notice are that your car has a lot more power, it will increase the fuel efficiency and reduce the car’s emissions. One thing we would like to point out is that before you consider having your ECU remapped you check your car is still covered by your insurance. While we find most are okay with modifications the last thing you want is to of changed your car and then have no insurance cover. Ideally, you should be having your car wheels aligned every 12 months or when you have done 12,000 miles. There are a number of scenarios that can knock your wheels out of alignment including hitting a kerb, going over a deep pit hole, having new tyres fitted or having your steering or suspensions components replaced. By having your car wheel alignment in Milton Keynes, you can ensure your vehicle is performing to best of its ability. It will also save you money in the long run by doing so, the last thing you want is to have to replace other parts of your car as a result of your wheel alignment. You want to get yourself a good set of tyres; this will give you the difference between cornering performance. By having stickier tyres, you can experience a significant difference in the amount of horsepower you receive from your vehicle. If you want to increase the speed of your car and the traction it has on the road the first thing you need to look at is the tyres. It is one of the most important components on your car bar the engine of course. Driving with good tyres will not only increase your speed but will also make your vehicle a lot more efficient. Black Circles provide a range of different tyres to suit most car makes, providing high-performance tyres. You might also want to look at getting yourself a new set of rims for your tyres. This isn’t just to improve the look of your vehicle but to also make it more lightweight meaning handling, and brake performance is improved. Your car suspension system is responsible for making your car smoother when driving. It provides control over the car as it maximises the friction between the tyres and the road to help give better steering. It also helps passengers have a better ride as they don’t receive the impact of particular road conditions. You must ensure that your car has good suspension and if they are not then this will reduce the stability and control of the vehicle. Providing your suspension is up to scratch you can also prevent premature tyre wear and can promote balanced brake wear. There are so many different modifications you can make to your vehicle; you can change the way your vehicle looks as well as improving the overall performance of your car. When considering body customisation, we always recommend that you do your homework and if you can go off other peoples recommendations. We often hear of clients who have had work done elsewhere and regret it because they ended up spending more then they should have to fix it. If you want to look at ECU Remapping, we suggest that this is something you don’t do by yourself. 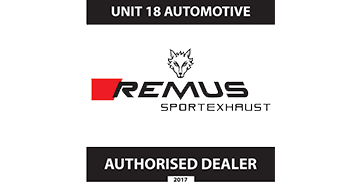 Always go to a garage that specialises in ECU Remapping, they will be able to discuss with you what you want from your car. By going to a professional, your can also ensure you’ll get the performance out of your car. Wheel alignment is important to think about as it can be one of those things that can affect other aspects of your car. Also, the tyres need to be high performance for you to get the best out of your vehicle. If you want to know more about different modifications your can make to your vehicle we recommend you take a look at Gear Patrol. Previous Post What do warning lights mean?